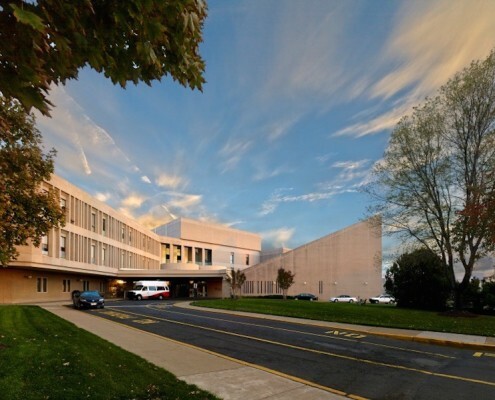 St. Mary Medical Center in Langhorne, PA, founded in 1973, is the most comprehensive medical center in Bucks County. Services include cardiovascular care, a regional cancer center, an emergency department and trauma center, orthopedics, diagnostic and surgical services, neurosciences, rehabilitation, pain management and hyperbaric medicine center. Hatzel & Buehler was awarded the electrical contract for the 3rd floor renovation of the MG Building located in St. Mary Medical Center. The project consists of the fit-out of approximately of 21,000 square feet, including 26 patient rooms, associated support spaces and a family waiting area. Hatzel & Buehler furnished and installed new lighting, switchgear, ATS, fire alarm, nurse call, access control and sound systems.